In terms of strategic narrative building, the timing of an invitation from Sydney-based internationally celebrated artist Janet Laurence to visit her latest experiential art installation could not have been more divine. The Climate Guardians met Janet in Paris where—as a long time artist exploring nature realms in depth—she had been selected to represent Australia at the Artists 4 Climate project during COP21. Fortunately we had an opportunity to stage a ‘visitation’ at her deeply moving exhibition Deep Breathing: Resuscitation for the Reef at Paris’s Museum National d’Histoire Naturelle. It was unforgettable; a rich experience by every measure. On the eve of the H2O: Water Bar’s preview opening with Sydney Lord Mayor Clover Moore, the Climate Guardians travelled from the Pilliga State Forest. The day before they had been arrested for trying to prevent Santos’ workers from entering the Narrabri Gas Project site. In addition to threatening the largest inland forest left in Eastern Australia, Santos’ 850 coal seam gas wells will sit above a critically important ‘recharge zone’ supporting the crucial pressure head enabling ground water from the Great Artesian Basin to flow to the surfaces of the massive expanse of land dependent on it (think growing food). After our visit to areas of Northern NSW that are gravely threatened by mining and fracking, arriving at Janet’s H2O: Water Bar installation in Paddington’s Reservoir Gardens felt intelligently surreal. 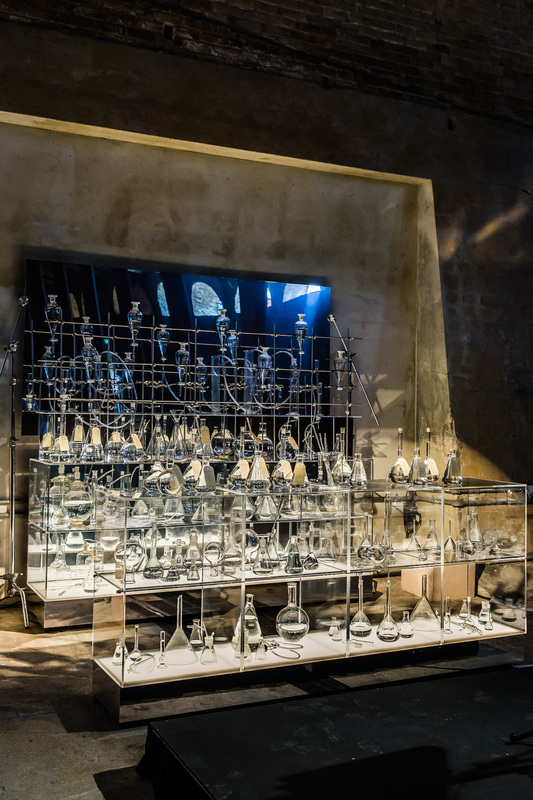 Housed in the ambient inner space of the Reservoir, Janet’s installation appears like a vintage apothecary or magical laboratory with all different shapes and sizes of glistening glassware holding samples of water sourced from different parts of Australia. 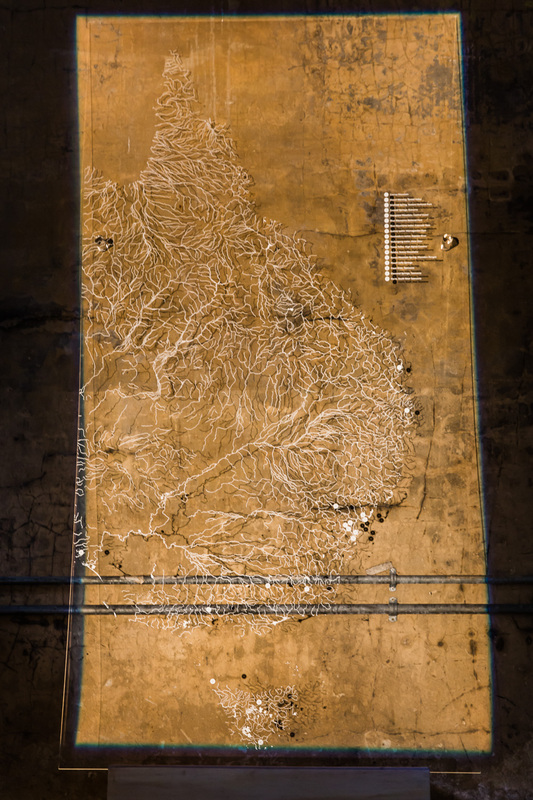 Also a diverse range of stunning, thought provoking water related images are projected onto ancient walls at either end of the grand heritage space. A sommelier had been engaged to help identify the diverse waters’ different tastes, in terms of their trace mineral elements—the result of their various origins or the rocks they have eased their way through, some over thousands of years. 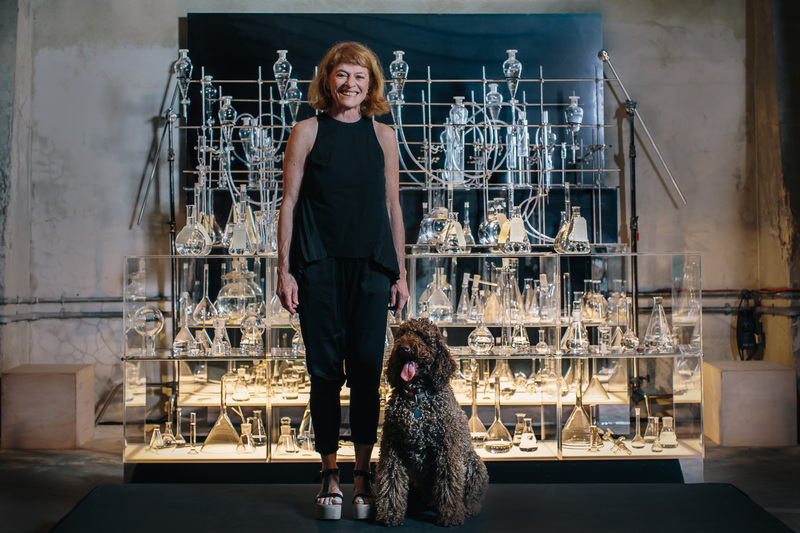 For Janet, installing the H2O: Water Bar in Paddington’s Reservoir space was the realisation of a decade long dream. 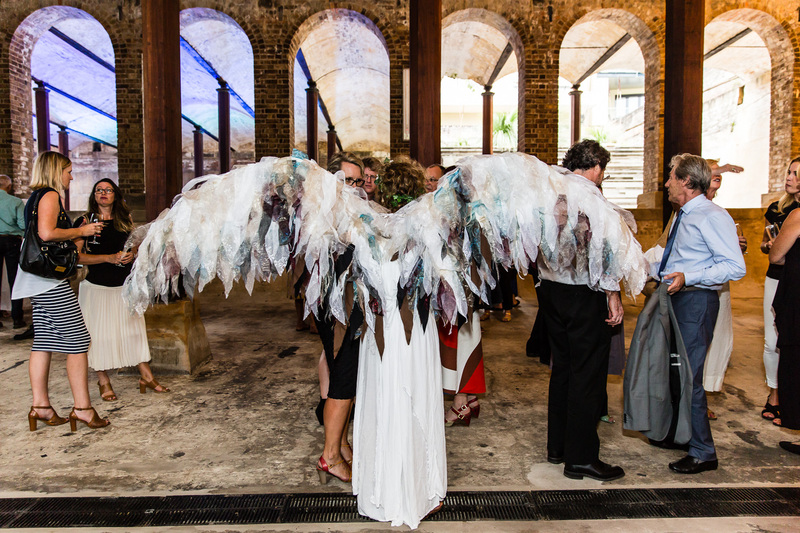 The Climate Guardians role was to simply wander through the spaces and to speak with guests about our work as activists. Like Janet, we believe that creative expressions can get under people’s ideological guards and open their hearts to the essence of what has become a deeply politicized issue. Just a glance at the bitter history of Australia’s climate change debate (to which the health of our hydrological systems are integral) reveals the depths to which vested interests have misled and deceived decision makers and the public in appallingly self-serving ways. In fact before Janet’s show had opened and stunned people with its beauty and intelligence, it was coming under heavy fire from conservative bloggers. Why? Perversely, their pre-launch critiques may have led to the show’s struggles to service the large number of partakers. Having just come from a threatened site sitting atop Australia’s Great Artesian Basin, we couldn’t wait to put our wings on. Janet’s announcement that the Climate Guardians had just come from being arrested attempting to protect the Pilliga Forest from a diabolical fracking project was met with enthusiastic applause. Naturally we felt enormously proud and privileged to help Janet and her creatively committed colleagues raise awareness of Australia’s deeply confused relationship with it’s most precious and fragile vital resource: H2O. 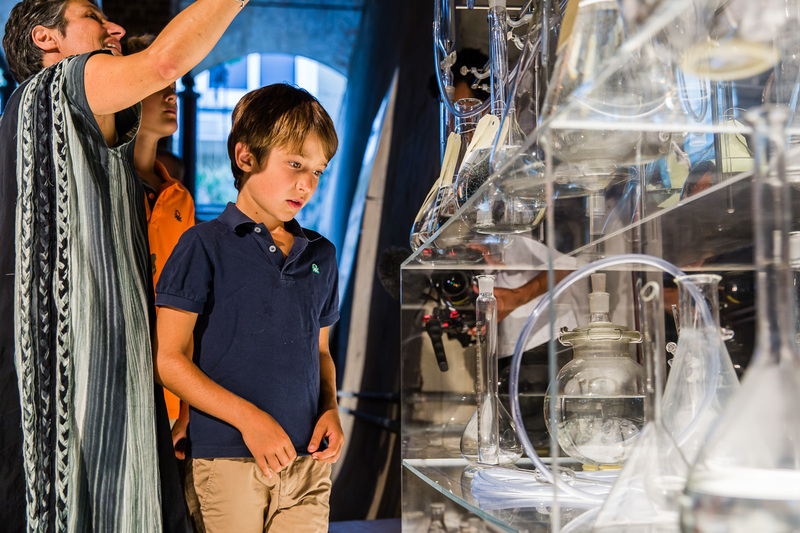 This important exhibition has been accompanied by an impressive series of public programs including talks, music performances and poetry readings.